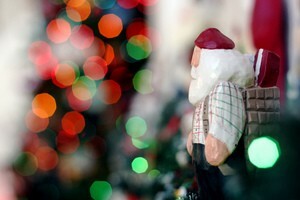 Looking for seasonal or holiday exterior RV decorating ideas that people will notice from the outside? 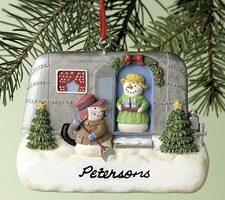 Or interior RV decorating ideas to add your personal touch inside year-round? 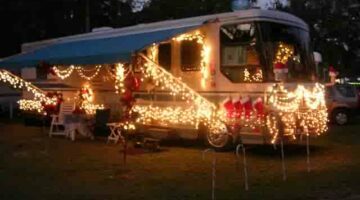 Here, RVers share their personal tips & tricks for replacing RV furniture, prolonging the life of RV carpet & flooring, hanging pictures inside your RV so they'll stay put while you're driving, remodeling an RV yourself, and other RV decorating tips you won't see anywhere else. 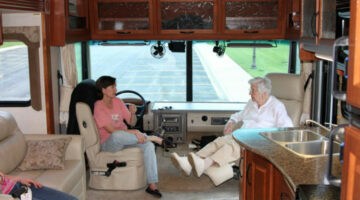 Are your RV captains chairs starting to look old and worn? Perhaps they’re simply faded from the sun, or they don’t have as many features as you’d like — such as seat positions, recline, etc. 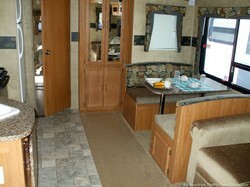 Here are lots of RV seat covers to choose from, plus some RV seat enhancements that could make your ride more enjoyable. 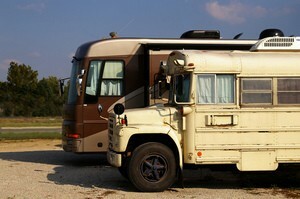 Here are 6 ways you can protect the high traffic areas inside your RV from showing excessive wear and tear. 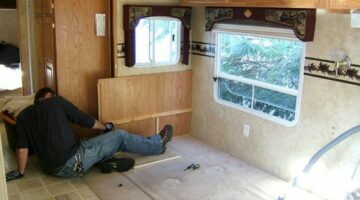 These are simple fixes to protect your RV carpet. 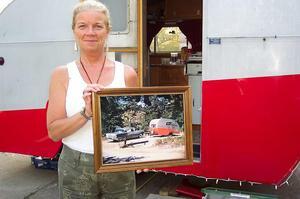 Sun and heat will destroy RV furniture fabric, making it stiff and brittle. Here are your options, some of which are pretty expensive. 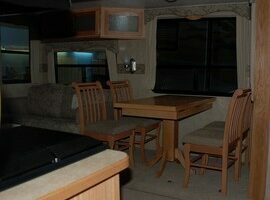 I like to replace the original RV furniture with cheaper household furniture. All you have to do is secure it in place.